The golf resort has brought together three of the world’s golf legends - Jack Nicklaus and Arnold Palmer - to design three spectacular courses of the highest international standards at the resort, a unique combination not seen in any golf resort in the world. The Par 72, 6,710m (7,338 yd) 18-hole Jack Nicklaus championship course was fully open for play in June 1997 and it was ranked the Number One golf course in Johor by The Business Times in 1998, 1999 and 2001. This championship course was also ranked the Top Three golf course in Asia by Asian Golf Monthly in 2002. For 2002/2003, the course was ranked in the First Position for the Johor Golf Course Rankings by the Organisation of Asian Amateur Golfers (OAAG). The spectacular 9-hole, 3,326-metre course complements the existing Jack Nicklaus Course, and is of the highest international standard. 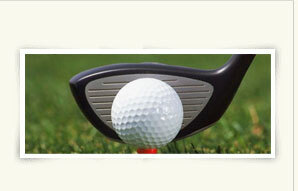 It offers a consummate mix of challenging play for golfers of all levels and lush tropical scenery.